All we wanted to do was explore some public lands, but various storms along the way made the journey a bit more complicated! This story isn't exactly a stormy day in a National Park or on our Public Lands, but it's an overall experience I'll never forget. 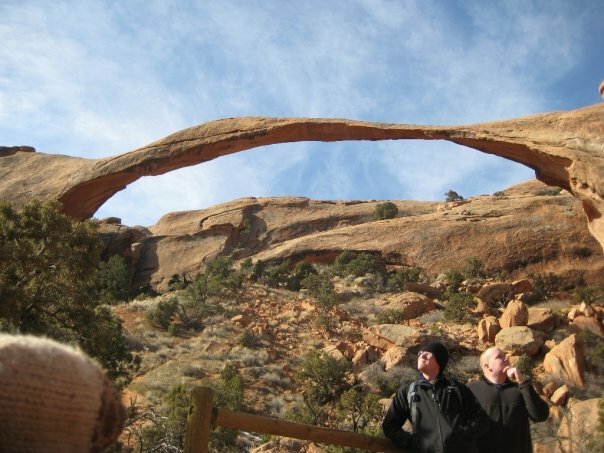 Back in 2009, my buddy and I rented a car to travel from Michigan to various public lands in the west. We had reserved a large sedan, which was cheap and had enough room, but our plans were foiled and we were stuck with a Chevy HHR. The HHR is a tiny wagon and the first part of the "storm" that was the spring break road trip of 2009. We started off a little rough, but we were not deterred. We packed that HHR to the brim with supplies and gear and set off towards Sacramento with a few stops planned along the way. We were cruising along with our first stop planned to be Arches National Park in Utah. We get all the way to Denver without an issue, tour the city quickly in the early morning on a Saturday, and continue west toward the Rockies. 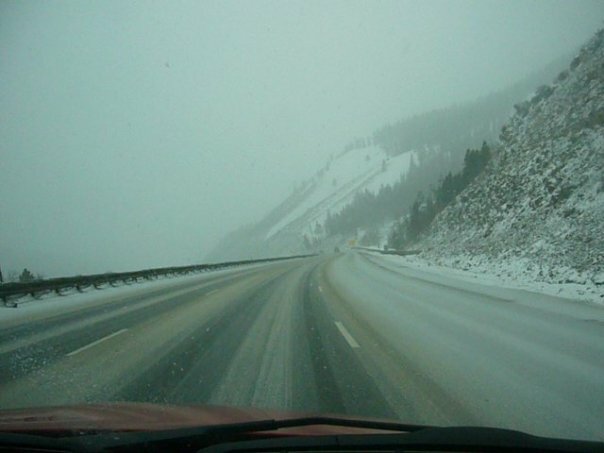 We hit a blizzard around Vail and see cars in the ditches, had zero visibility, and didn't have rental car insurance. Everything was fine, we kept going because what was the point of turning around halfway through a blizzard? We had plans to stop at scenic turnouts, but this icy roads had us white knuckled all the way through the mountains, leaving little room for extra adventure. Eventually, we reached the western slope, found dry ground, and thanked mother nature for having mercy on us. We set back out towards Arches in hopes for some better weather. Arches is a beautiful place, any time of year. We camped, hiked, and enjoyed every bit of daylight we could. Camp had a great view, but nothing beats the views from the various day hikes. A big benefit of going in the end of February/first week of March is that no one is there! That night, after hiking all day and already being quite chilled, we crawled into our sleeping bags and listened to the wind toss our tent around. The temperature had dropped to 11 degrees Fahrenheit, with strong winds all night. I slept in my clothes plus winter jacket, gloves, and hat. After a windy and cold night like that, coffee and sunshine were the most welcome things of the morning. Leaving Arches, we set off to drive through Monument Valley, through Grand Staircase Escalante, with a final camping destination along the loneliest road - US 50. We stopped at a BLM spot, Petroglyphs Interpretive site in the and set up our tent next to some snow. There was no storm at this portion of our journey, but it was still cold. We left the next day and headed west on US-50 toward California. Once through Nevada, we hit the Tahoe National Forest on I-80, through the mountains, and another snow storm threatened our rental car. We finally made it to Sacramento, despite the blizzard, and in plenty of time to pick our other friend up from the airport. Our journey continued north, hitting another rain storm in Redding, California and mixed precipitation on our way to Eureka through the mountains. We drove through the Redwoods, up the coast, detoured to Portland and Seattle, and went to Cape Flattery with sunny weather on our side. 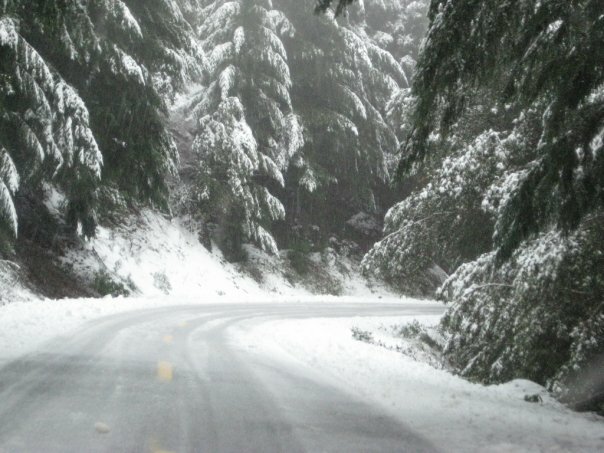 We had major rain in the Hoh Rainforest, but nothing else the entire trip back to Michigan, minus some mild snow in the Midwest. We may have avoided storms while being out on the trails or at the campsite, but we endured some severe weather to get to the places we love. When you save money, make a plan, and set out to see something beautiful you don't let things like blizzards and rain storms get in the way. We made this trip the best adventure we could, despite anything Mother Nature could throw at us. This post was created in one hour for the #NatureWritingChallenge. The trip happened in late August, but the idea started months before. The year 2017 started with a new challenge - hike every week for the entire year. The hiking started locally in Dallas, Texas near home base and would branch out occasionally as variety was needed. Some would call it a travel bug, others just an itch for adventure, either way a bigger, more spectacular trip was needed to satiate the outdoor cravings. The search for flights began and included many great destinations such as Seattle, Portland, San Francisco, Denver, Salt Lake City, Phoenix, and others cities near scenic public lands with great hiking. The search for the perfect flight continued over the span of a few weeks and the destinations were whittled away as prices increased, departures didn't work, or arrivals were too late. Vacation days were thin, sick days needed to be saved just in case, and work was about to ramp up to the busy season anyway so the flight and timing had to be just right. One day, it clicked and a flight to Salt Lake City was perfectly timed with an arrival on Friday night and a departure late on Sunday for a reasonable price from Dallas. The flight was not purchased, but was tracked and discussed for another few weeks. The price increased and it seemed hope for an adventure would be lost. The disappointment was accepted and the promise of other, future trips was made internally as the tracking of the flight prices was canceled. Fast forward about two weeks, the urge to adventure still burning, prices were checked again. With much surprise, and delight, it was discovered that the price was back to what it was on the very first search. Second guesses weren't allowed, the flight was booked and it was written in permanent marker on the calendar in the office. News was shared with a dear friend, and it was decided the spontaneity of this trip was to their liking and they also booked a flight from their airport to meet up for the ambitious weekend adventure. Trip planning commenced, and there were 100 things to fit in to less than 48 full hours in Utah. Having visited Utah in the past, there were things that were only enjoyed briefly that deserved a revisit. 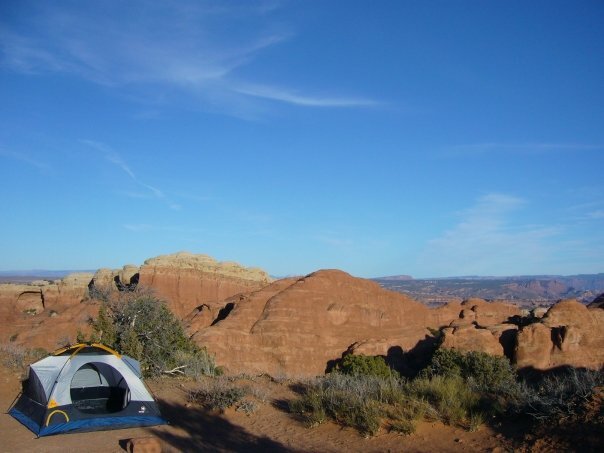 Arches, an obvious attraction, had been thoroughly investigated so it was off the list. Zion would be a bit too far south, as would Bears Ears for this trip. So, a route was planned from Salt Lake City through Capitol Reef National Park to Devil's Backbone and back out to Bryce Canyon National Park for the Saturday portion. It was a lot of miles to cover in one day and proved to be a real challenge to visit everything. 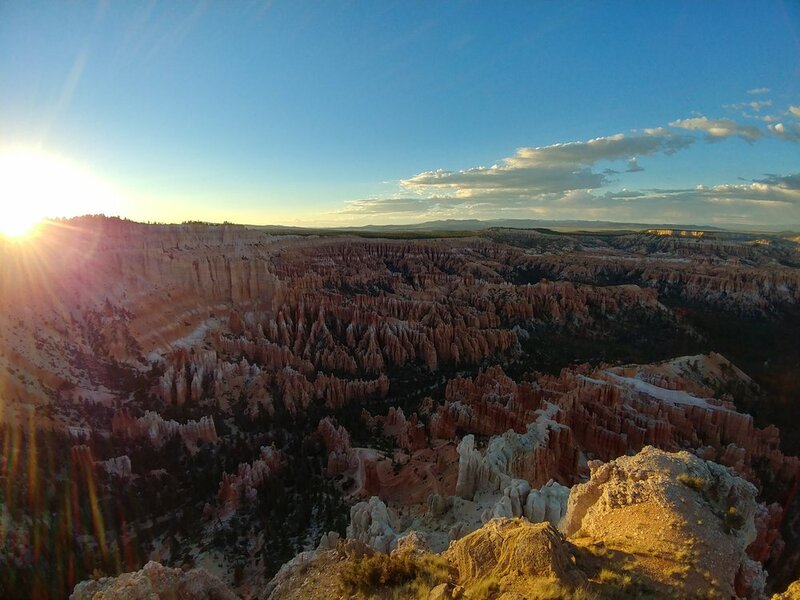 The main objective of the trip was obviously to hike, with a side aspiration to see the sunset over Bryce Canyon and sunrise at Cedar Breaks. Hiking in Capitol Reef, Bryce Canyon, and Cedar Breaks was determined to be the most important with any other hikes being a welcomed addition. A short hike in Capitol Reef in the morning sun led to driving miles with scenic views of storms on the horizon to the arrival at Bryce Canyon in the late afternoon. The road to Rainbow Point, the end of the park, was longer than anticipated with many necessary stops to admire the views. Once to the point, a hike on the Bristlecone Loop was taken while the sun was still pretty high in the sky. Making the drive back to the entrance, the plan was to hike at Inspiration Point for the sunset. Stops at a few small loops such as Natural Bridge and Piracy Point along the way allowed the sun to sink down a bit more and the views to be taken in a bit longer. The arrival at Bryce Point prompted a race to the edge to peer out at the darkening hoodoos, as the sun was suddenly almost gone. A quick drive to Inspiration point led to a view of the cherry red sunset in the distant clouds as it faded away. The mission was complete, the sunset was viewed in Bryce Canyon National Park and it added more magic to the hoodoo views than could have been expected. This post was written in one hour for the first #NatureWritingChallenge.